The crankcase of an engine not only provides structure and rigidity to the engine but also keeps major moving parts in alignment. This is important, because even slight misalignments in such critical components as the connecting rods, gears, main bearings, or cylinders can easily result in premature wear or engine failure. The crankshaft must be held exactly on the engine's geometric centerline, if adverse stresses on rods and bearings are to be avoided. Cylinder decks heights, the horizontal distance from the crankcase centerline to the cylinder hold down flange areas, must be the same for all cylinders so that all pistons have identical piston travel into the cylinders and provide for equal compression ratios. Proper machining of the crankcase's crankshaft bore, will ensure that the centerline axis of the crankshaft will be true and parallel to the cylinder deck planes and will eliminate any unwanted stress on the crankcase or other moving engine parts. Precision machining of the crankcase bore also will ensure the proper pinch fit for the engine's main bearings, allowing for proper oil pressure and improved engine life. 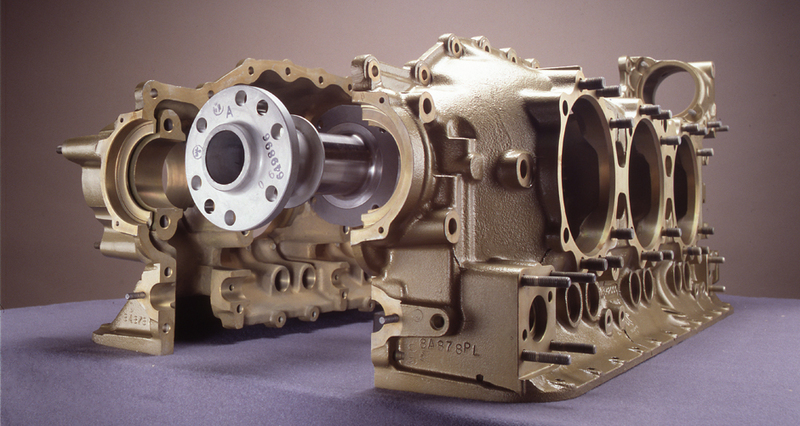 Through the use of sophisticated crankcase line boring techniques, "Power By Victor"™ engine crankcases are machined to the utmost in quality control to allow for longer engine life, reduced friction and improved power. After the crankcase is machined, it goes through a special metal stress relieving process called "thermal normalizing" to ensure long crankcase life and stability. Crankcases are alodine- treated and finally electrostatic powdercoated to ensure durable, long-lasting corrosion protection. Again, this is one of Victor's unique special processes that adds that extra touch of quality control to "Power By Victor" Engines.